The HazMasterG3 from Alluviam has been updated to version 17 and now includes an expanded database of more than 165,000 materials and trade names. 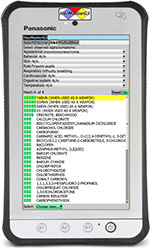 The support system features proprietary tools and unique capabilities for enhanced EOD, SSE/forensics, chemical and radiation scenarios and more. The HazMasterG3 redefines comprehensive CBRNE/HME decision support and is relied upon by law enforcement, fire and more. SHOEBOX Enterprise Data Management aggregates hearing test results in real-time and saves them to a secure, HIPAA-compliant environment. 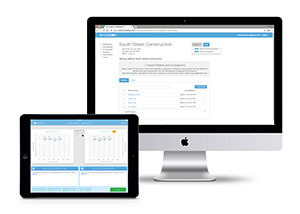 EDM was developed for customers who manage large-scale projects across multiple testing locations and need a simple way to analyze trends, identify changes in hearing status, and offer remote audiological support. EDM helps clinicians monitoring for ototoxicity to track results more efficiently and its ability to generate alerts when shifts in hearing thresholds occur will be beneficial for Occupational Hearing Conservationists as well. 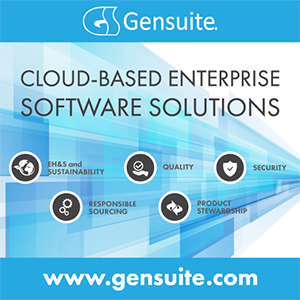 Gensuite’s Audit Assistant enables auditors within the subscriber community to facilitate the collection of audit observations and collaboration between auditors via a mobile-focused interface. Audit Assistant is a digital collaboration sandbox or “Audit Room” where each member of the audit team can add access audit observations throughout the audit. Auditors can log audit observations offline via the Gensuite-on-the-Go mobile app, available for download on Apple, Android, and Amazon Kindle devices. K-Sun Corp. introduces PipeMarker V8, a new software program for Microsoft Windows 8, 7 and XP and bundled with the K-Sun PEARLabel 400iXL, a new 300-dpi, wide-format thermal transfer printer. The new one- to four-inch capacity K-Sun PEARLabel 400iXL printer and Pipemarker V8 software make it easy for safety and facility professionals to design and print custom ANSI and ASME A13.1 compliant pipe markers, tags and labels on all-weather adhesive supplies quickly and inexpensively, in-house and on-demand. PipeMarker V8 contains hundreds of pipe marker templates in English, Spanish and bilingual formats organized into easy to access categories. New categories include Food Processing and HVAC Duct Markers. Designed to eliminate costly logistics problems around the yard and loading dock, 4SIGHT uses real time and physical data to assist facilities in efficiently managing operations such as loading dock visibility, live and staged trailer coordination and turn time management. The system quickly integrates loading dock equipment with intelligent software to monitor, communicate and manage loading dock status, helping companies avoid costly detention charges, product spoilage costs, employee accidents and more.4SIGHT allows facilities to monitor, schedule, and communicate trailer movements, load assignments, and loading dock statuses in a simple, easy-to-use interface. Solar Bright Limited’s PATeye is a real-time visual warning system that alerts motorists to ice-road conditions. Ideally suited for use on roads, bridges, parking facilities and sidewalks, the solar-powered device detects the formation of frost and illuminates a blue LED flashing light, which alerts motorists that road surface conditions are ripe for ice formation. The PATeye uses advanced proprietary sensors to predict the presence of ice on a surface through the analysis of the formation of frost on the device itself. 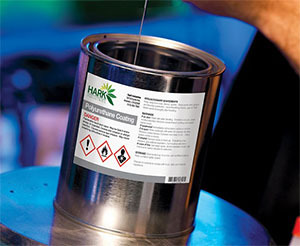 Custom-designed moisture, temperature and humidity sensors are at the heart of the patented technology.